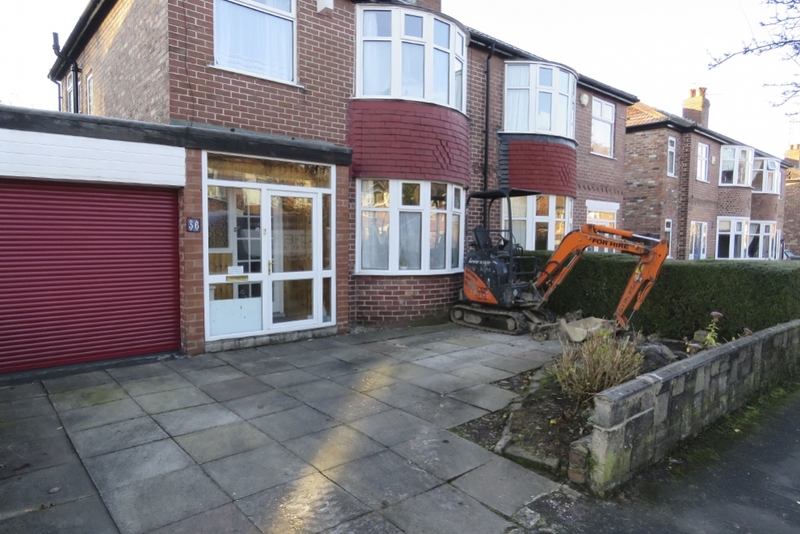 These old flagstones has really finished their glory days, a long time ago… The shabby old wall and forgotten flower bed added to the immensely unsightly exterior. 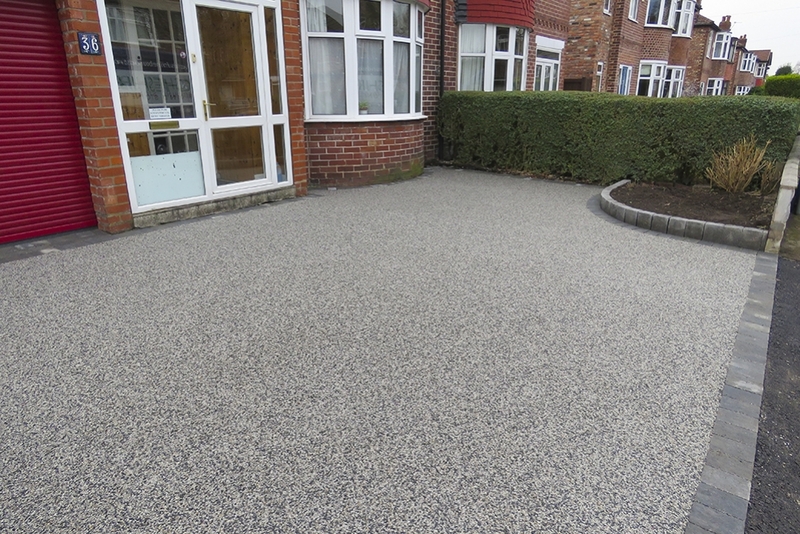 Thankfully these clients opted out of the embarrassment and in to Resin Bound Stone. 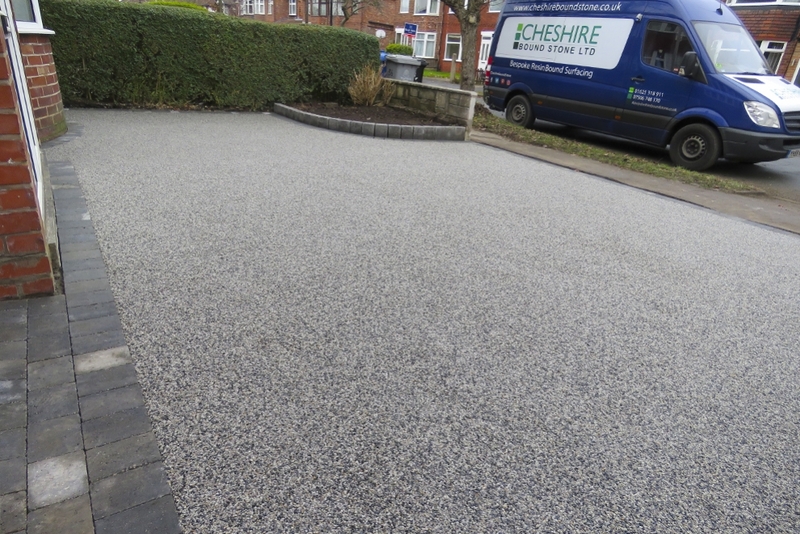 Silver Fleck is the perfect option for those who want something neutral, but classic. 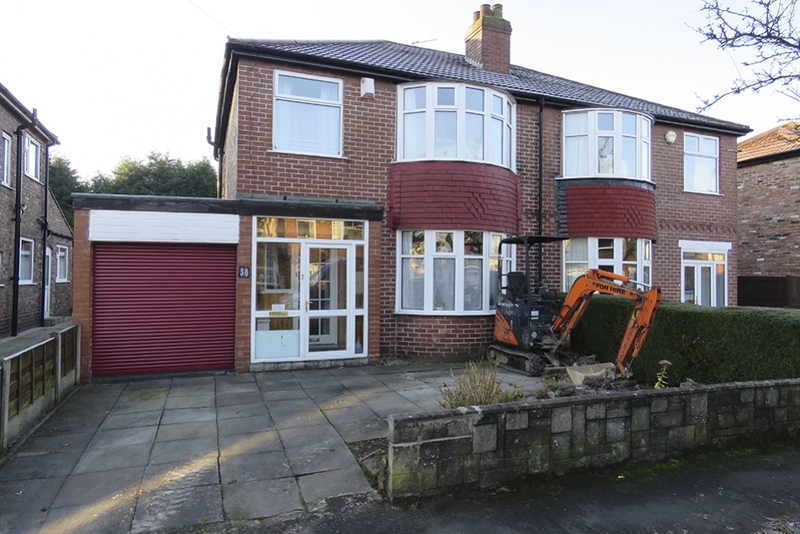 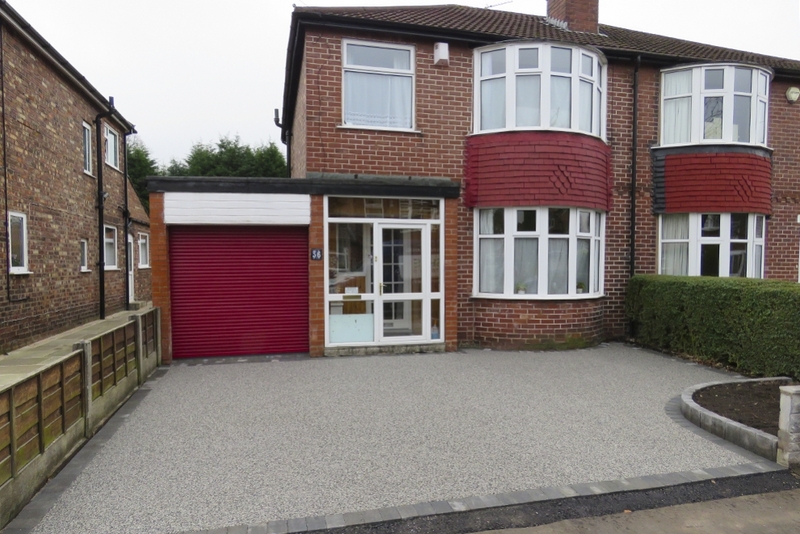 With the wall pulled down and a raised flower bed build in its place; the driveway is now opened up to fit another car upon it. 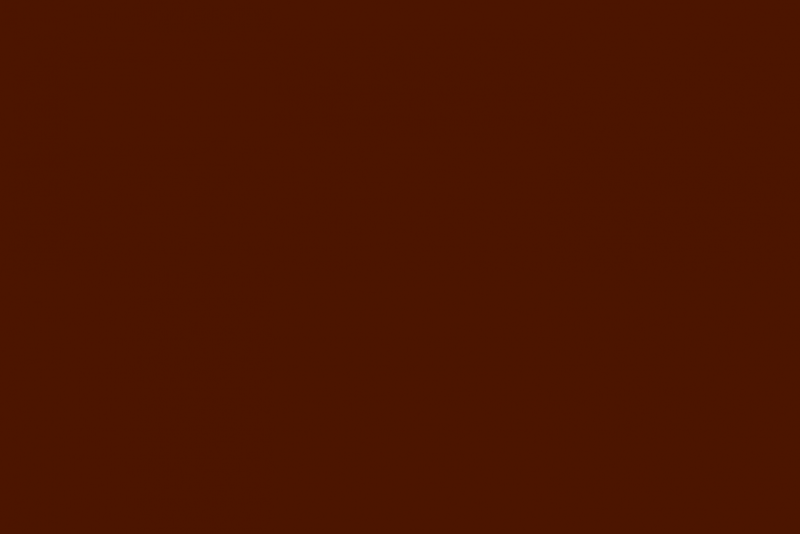 And not just that, but doesn’t it look about a thousand times better! 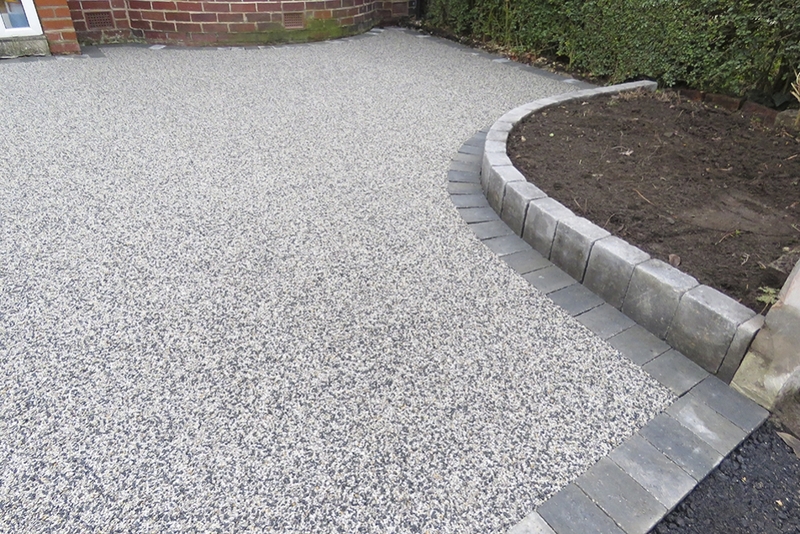 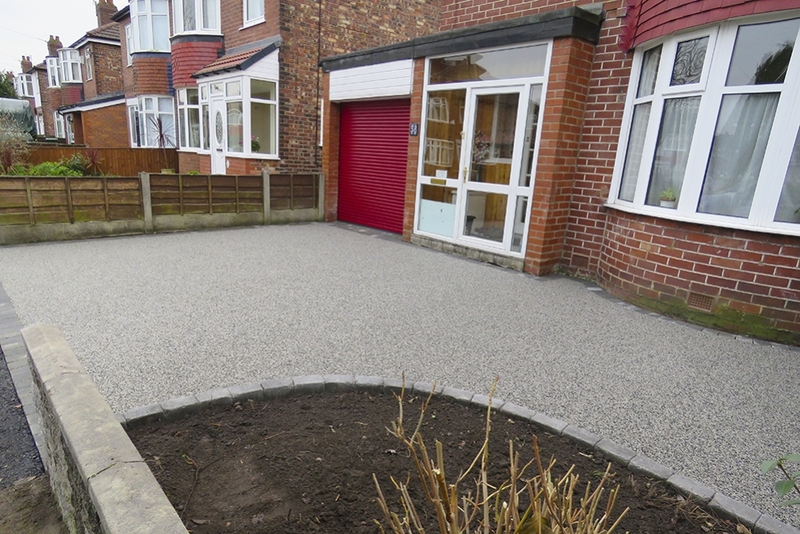 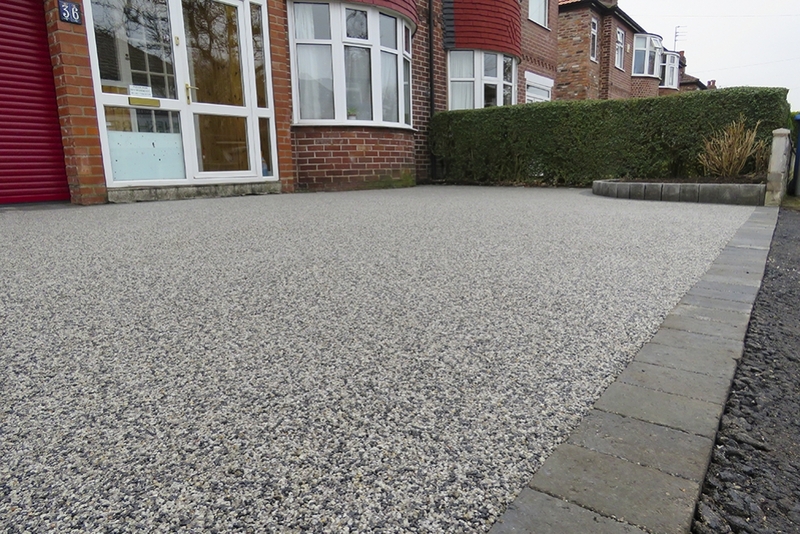 Resin Driveways in Timperley are becomming incredibly popular. 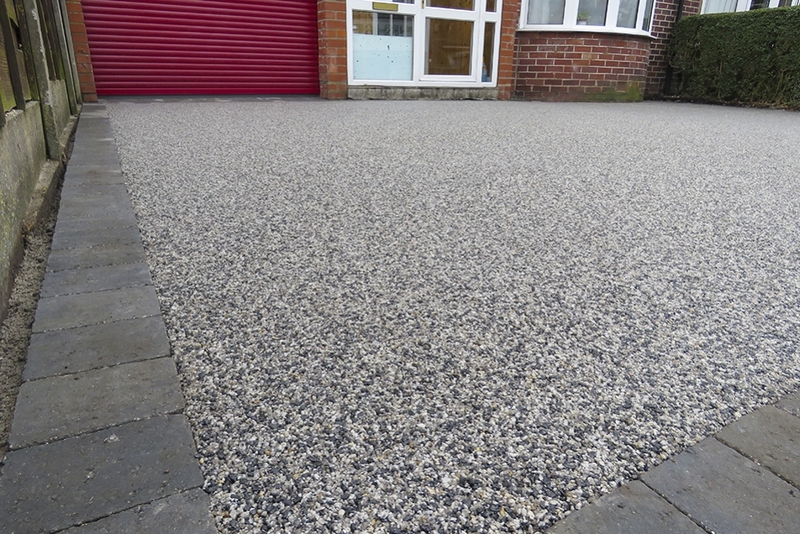 With all the surrounding neighbours now seething with jealousy, they’re all been in touch to sign up for their Resin Renovation too!